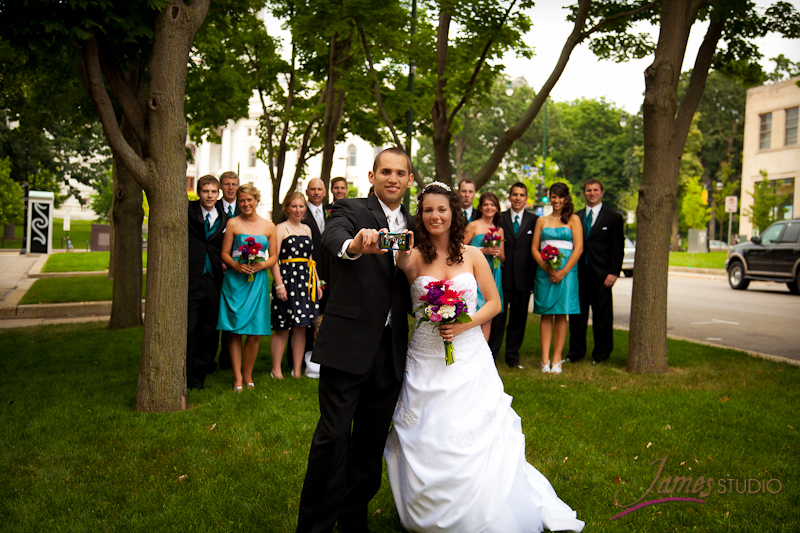 Kyle Smasal and Elizabeth (Lizzy) McNabb were married July 15, 2011 at First Presbyterian Church in Waunakee, Wisconsin. I have photographed in this church previously; it is a beautiful facility with a very nice sanctuary and a wonderful chapel. 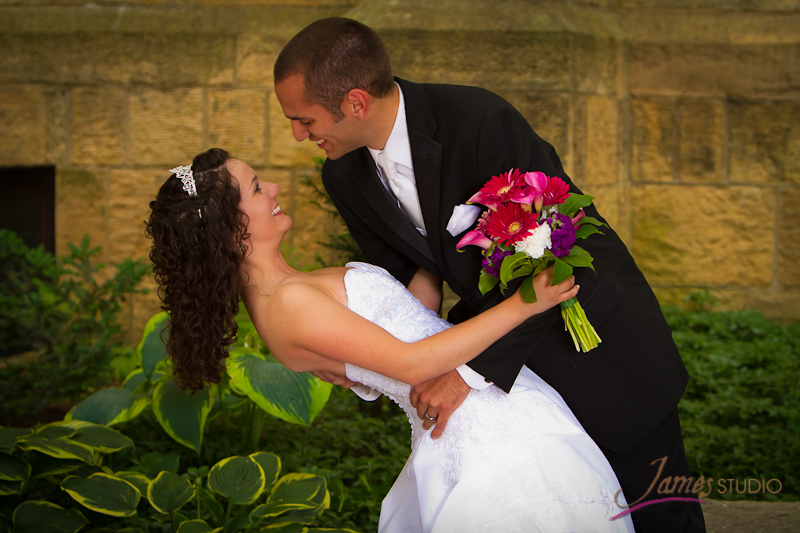 Lizzy and Kyle chose to do a First Look to provide more time for all the pictures they wanted before the ceremony. For me the First Look is great for a variety of reasons. Check out the next few pictures as I continue to explain why this is a good option. 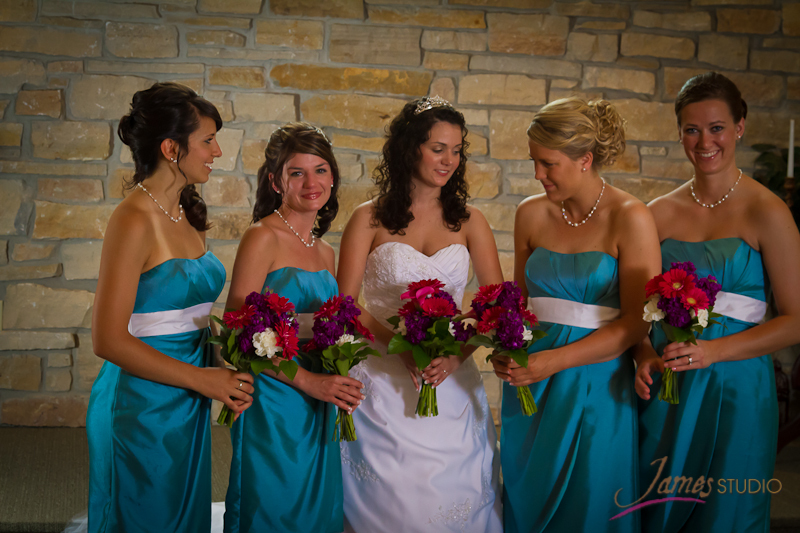 I fully understand the emotion of seeing each other for the first time as the bride comes down the aisle. 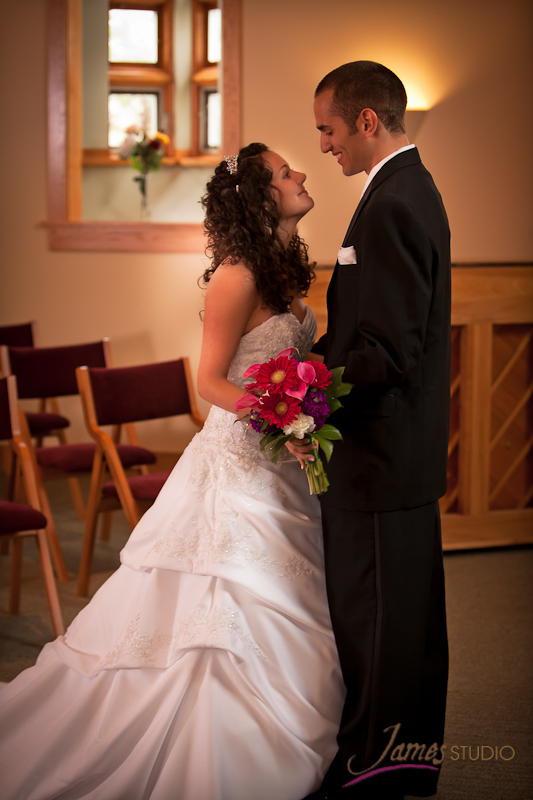 It is a beautiful thing and that is how I saw my bride the day I was married a long time ago. But for practical, aesthetic and romantic reasons it is also worth considering the First Look. We are covering the event with two people and thus two angles. The scene is set. 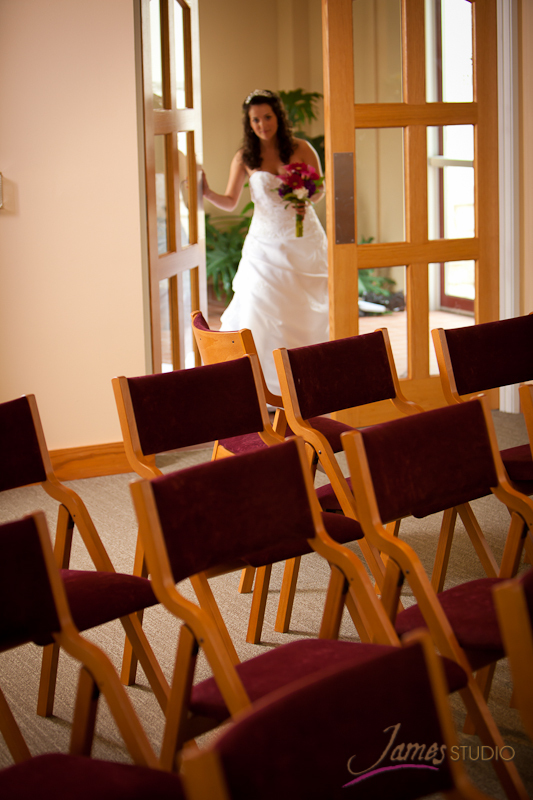 Lizzy enters the chapel and is gracefully shown in soft, natural light. With natural looks, from natural feelings, the beauty of the moment is captured. 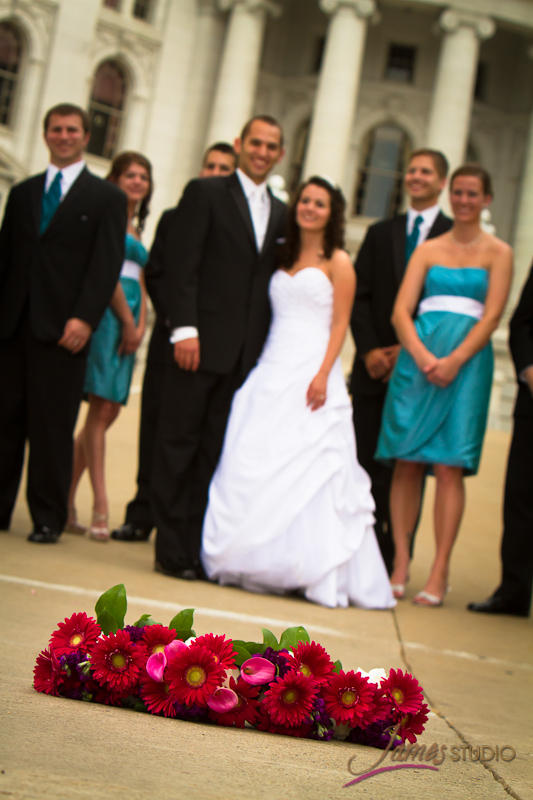 In this picture the flowers are in focus but the mood of the photo is not about the flowers. It is still obviously about Kyle and Lizzy. Because there are not hundreds of people watching, it is easier to express natural emotion and enjoy the moment. There is also time for me to suggest a pose or two and get another romatic look. Then it is time for us to leave and let the couple have some time alone. 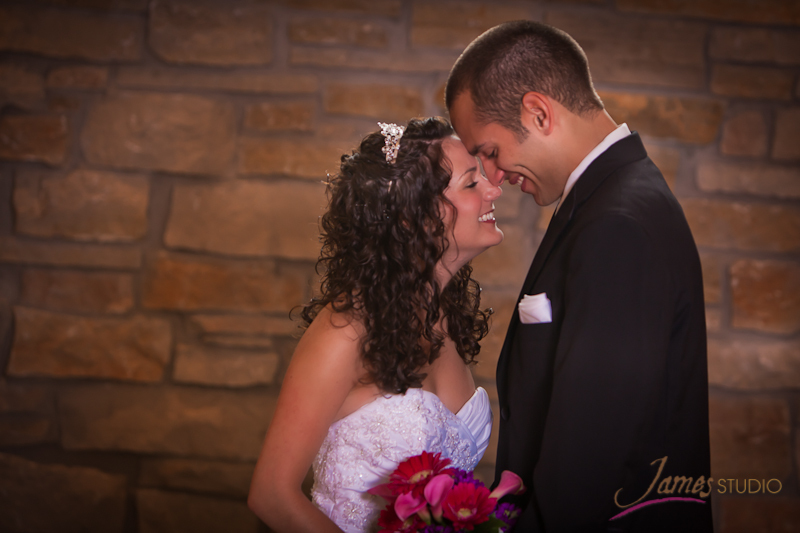 Compared to seeing each other for the first time during the ceremony, the First Look is a more private and intimate experience . 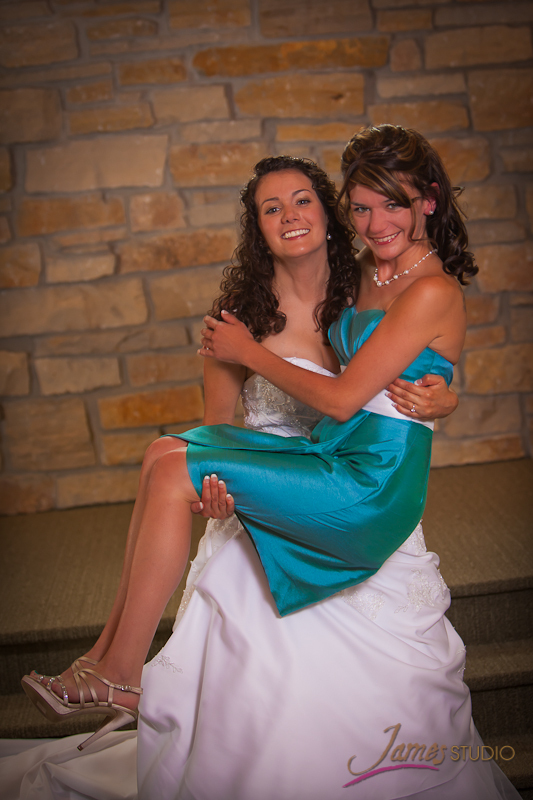 Here Lizzy is carrying her older sister. For their engagement pictures I had Lizzy holding Kyle up in the air (he was holding onto a tree) so I thought this would be a nice compliment. It is also a great opportunity to tease Lizzy about her amazing strength. 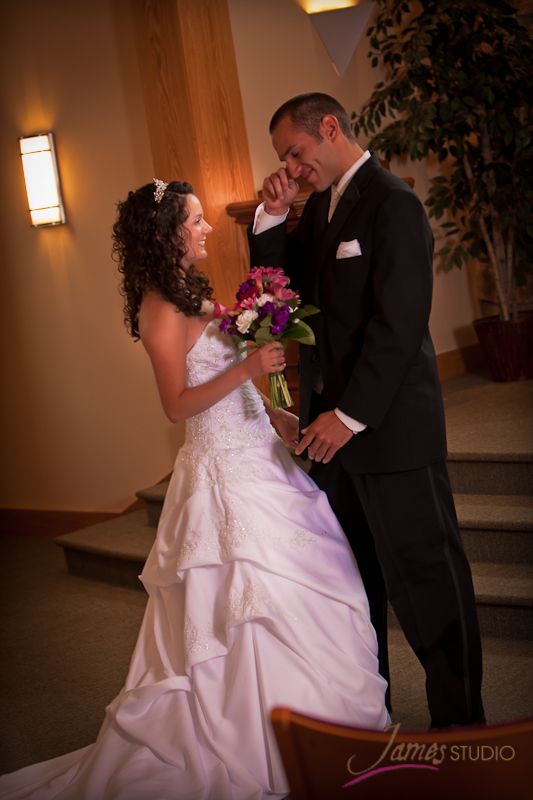 Though we were taking formal pictures, I really like this candid shot. It reflects the mood of the day. 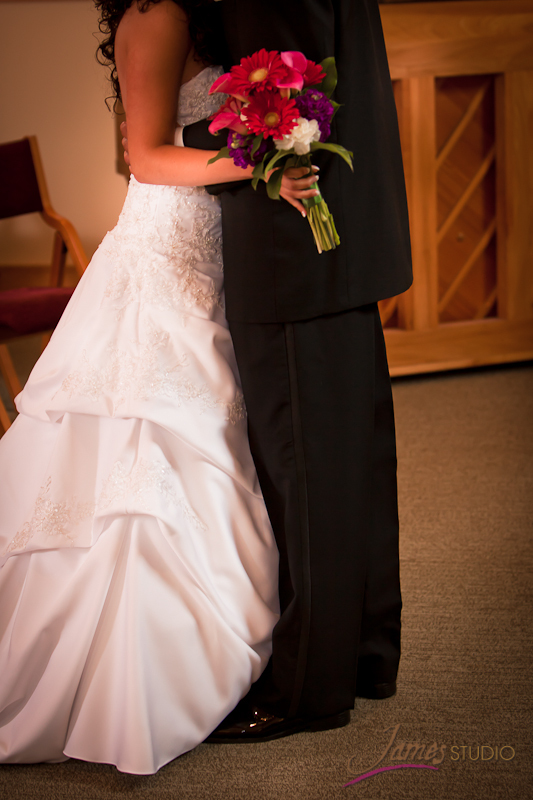 I don’t post a lot of formal pictures on my web site. However, showing the ability to properly light for formals is important, too. 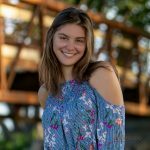 I do not use a camera flash as many photographers do, but I use a studio strobe with a secondary off-camera flash off to the side. This allows for the faces and bodies to be clearly seen and for the eyes to sparkle. Creative outdoor photography is very important to me. I try to come up with new ideas for each wedding. I also use a lot of shots that I have done in the past. The iPhone shot has become one of my favorites. Across from the Capitol is Grace Episcopal Church, which has beautiful trees and a nice garden. It offers an attractive background and beautiful shaded light. The picture below is another one of my favorites. The wedding party is probably pretty confused about why I am laying down on the hot street taking pictures of the flowers. But they didn’t complain. 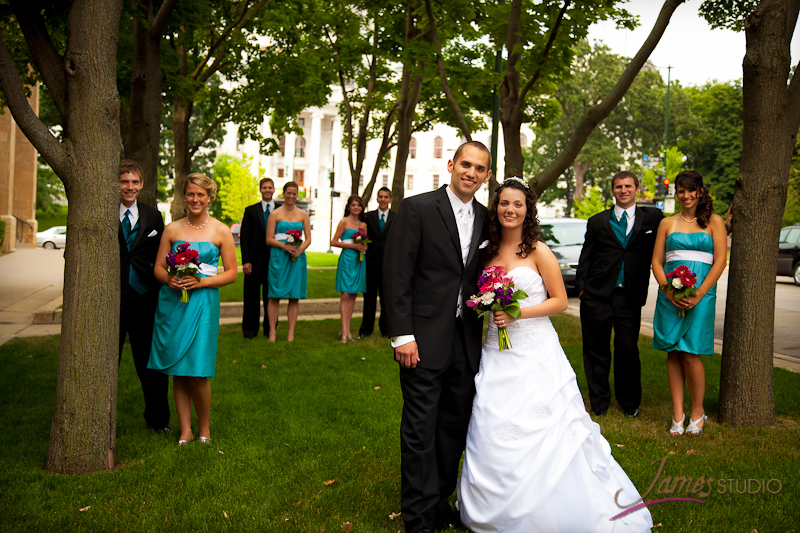 The Wisconsin Capitol offers a huge selection of beautiful angles, shapes, windows, and gardens for backdrops. The shot below is one of my top favorites. 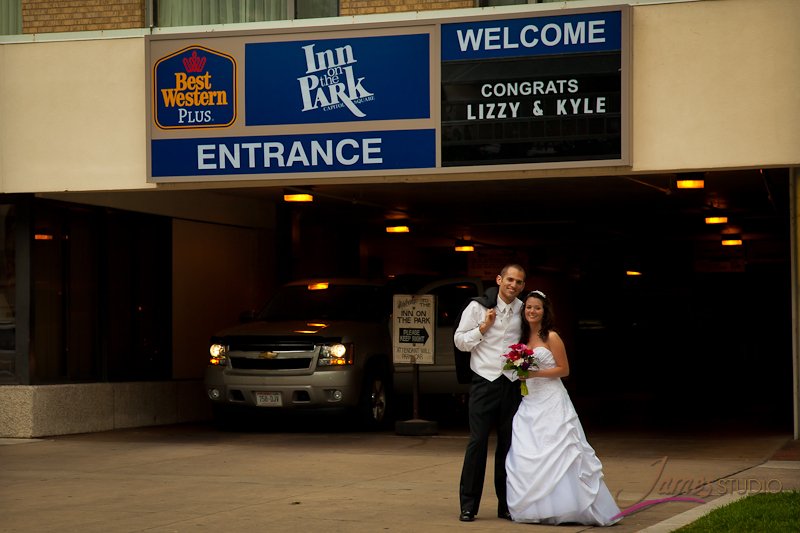 The reception was held at the Inn on the Park, which is across the street from the Capitol. 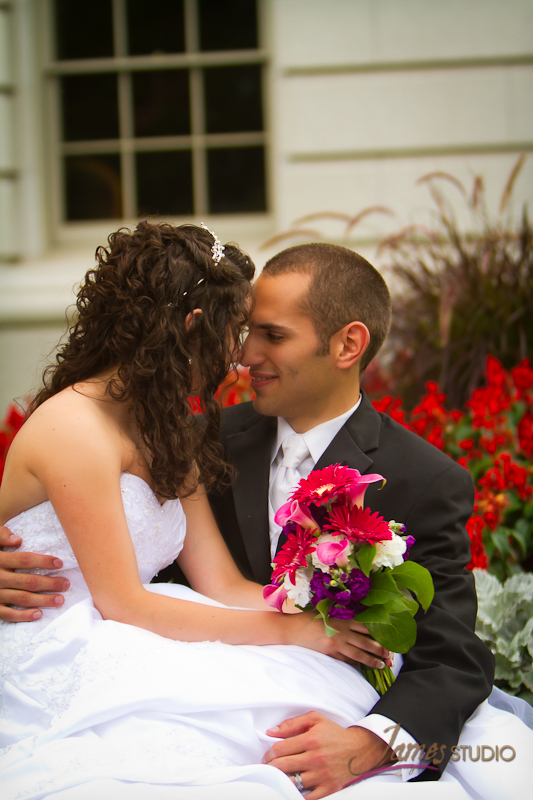 It has many beautiful furnishings inside and is an excellent location for a wedding reception.